I collected some great math games for kids that can help your child develop the analytical side of their brain and expose them to the world of math. 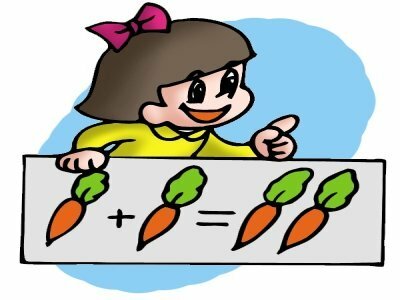 By the end of preschool, a child should be familiar with concepts such as patterns, shapes, numbers, and measurements. The vocabulary they acquire during the early years are the building blocks for good mathematical understanding later on. Even if math was never your strongest subject at school, you will still find it fun to play these math games with your kids. Counting games and other math games that will help kids understand the world of numbers. Teach your little scientist the vocabulary of the world of measurements while playing games. Put your shape glasses on and explore the world. Lots of concrete examples using objects, our body parts, and even words.